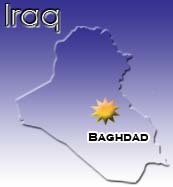 Geneva - Nearly 60 per cent of all full-time employees in Iraq work for the government, a UN report said, warning that this level of public sector employment was "unsustainable." Growing unemployment in Iraq officially stood at about 18 percent, but was 10 per cent higher among men under the age of 30. Additionally, less than 1 in 5 women participated in the labour force. "Iraq's growing jobless population is a socio-economic challenge for a country in transition," the UN report said. "This unemployed or disenchanted pool of young men and women is critical to Iraq's future socio-economic health." Nearly half a million Iraqis are set to enter the labour market in 2009 and the lack of job placement could lead to political instability, the UN said. Already, slightly less than a third of all Iraqis could not find enough work and the threat of poverty was higher among those not employed by the government. The report, the first Iraq Labour Force Analysis prepared by an inter-agency unit run by the Office for the Coordination of Humanitarian Affairs and UNAMI, the mission to Iraq, said that "high public sector salaries are straining the public budget." Though the amount of employment in this sector was growing, the drop in the price of oil globally along with Baghdad's lack of profit from other resources was increasing the need for more private sector jobs. Iraq was also suffering from a security environment which made it unattractive for foreign investment. The lack of capital in the country has limited the number of people taking loans, hampering industrial diversification needed for job creation. "The public sector overwhelms the private sector and can no longer expand," the UN wrote.